Shearwater's Teric, the company's first dive watch, that is also an everyday time piece. 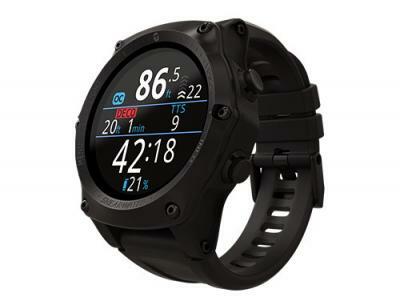 The Teric uses a 1.4" 400x400 round AMOLED display and features a highly capable multigas trimix dive computer, programmable sampling rates, configurable haptic and audible alarms and ascent and descent rate indicators. The Teric can connect with up to two wireless tank pressure transmitters and is fully integrated with Shearwater's cloud logging service. The Teric is now shipping globally (for around $1,450).